Tell that the ship-owner John Willis in his youth saw the picture, which depicted a young and captivating witch Nen from a poem by burns “Nen the Short shirt” flying over the bumps of the Scottish marshes. The image for many years remained in the memory of John Willis and embodied in his clipper, which was, according to his plan, so as to slide on the waves, like a young beauty Nen. But the name of the witch, the ship could frighten the superstitious sailors. 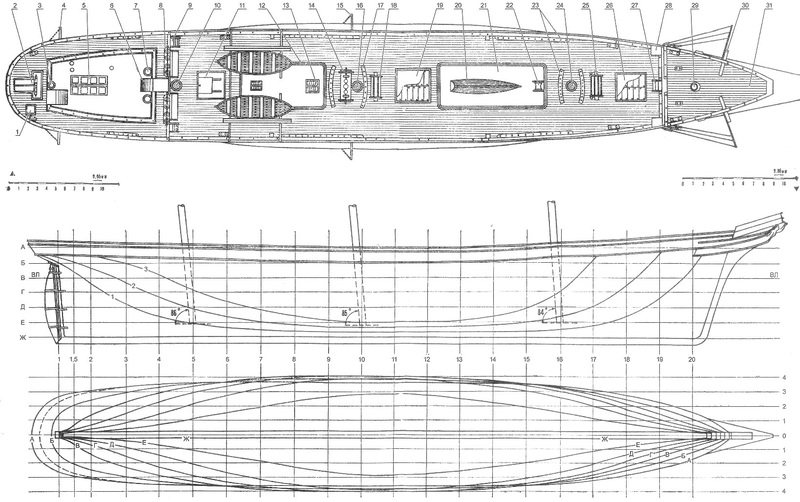 And John Willis cheated and called the clipper just – “Short shirt” (“Cutty Sark”), without the name Nen. 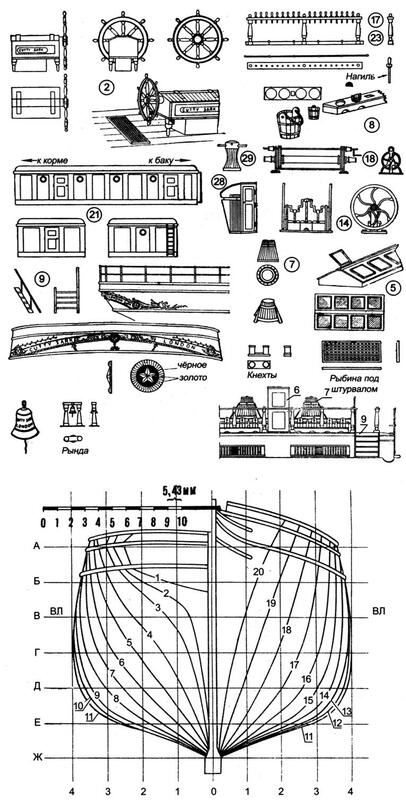 The figure is mounted on the nose of the clipper, portrayed Nen the Short shirt. The wooden statue was made by sculptor F. Wheeler. The builders tried to make the ship robust and a good Walker with a heavy iron set and teak paneling. Underwater part is coated with three thousand sheets of Muntz metal. The fleet of tea clippers have a new rival. If you are interested in vacation at sea suggest family tours. Here you can go on a trip, where the nature, which will seduce you from the first vzlyad. 16 Feb 1870 “Cutty Sark” went to China, having caught up on the road the best of the existing clipper ships “Thermopylae”, built a few years earlier shipbuilder Evil in Aberdine. Despite a desperate team, “Thermopylae” to break away and go forward, “Cutty Sark” arrived in Shanghai at the same time. This time between two of the best sailboats of the world began a fierce competition on the seas and oceans, which lasted 25 years. Once the “Cutty Sark” was not lucky in this competition. 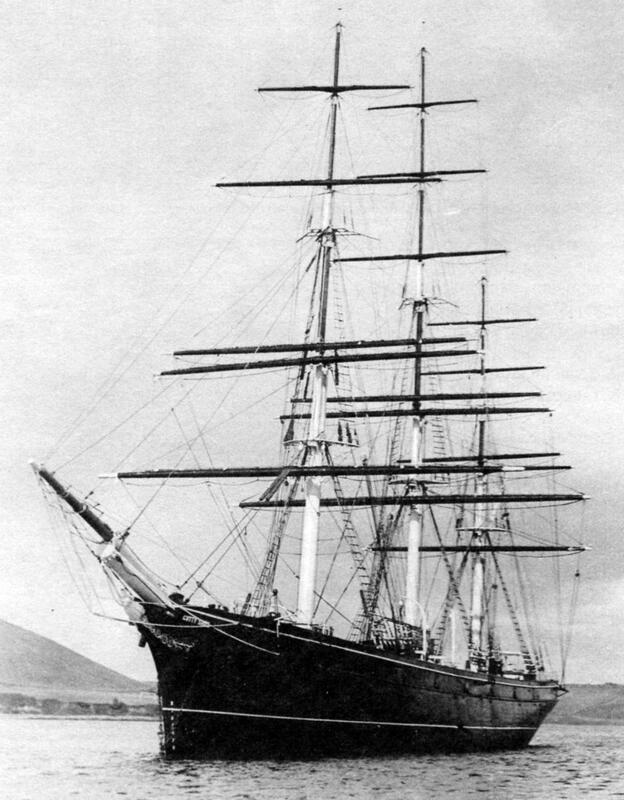 Coming in 1872, simultaneously with rivals from Shanghai, “Cutty Sark”, once in a Typhoon and lost the rudder and the mast came to England two days later rival. With the development of the tea trade in Ceylon reduced its export from China, and the owners became unprofitable to keep on this line such a great trial. The clippers moved into the so-called “wool” Navy, whose ships made flights from England to Australia and back and carried Australian wool for the English textile industry. In 1883, when the ship’s captain was R. Budget, “Cutty Sark” with a load of wool took place from Sydney to London in 82 days. The next flight was made in record time – for 73 days. As a reward for the success of the shipowner John Willis gave the crew a short shirt, made of Golden tin that the ship was worn on the top of the foremast. 9 Mar 1887 “Cutty Sark” entered the port of London with a cargo of wool, making the journey from Sydney around Africa in 70 days. The record for a sailing vessel, unbeaten until today, and “Cutty Sark” deservedly became known as the “Queen of the oceans”. 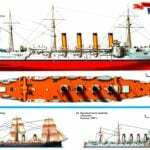 But steam ships increasingly oppressed sailing fleet, and the unprofitability of the famous tea clippers became apparent, in spite of 17-18 mph (35 km/h), which they could do with a fair wind. 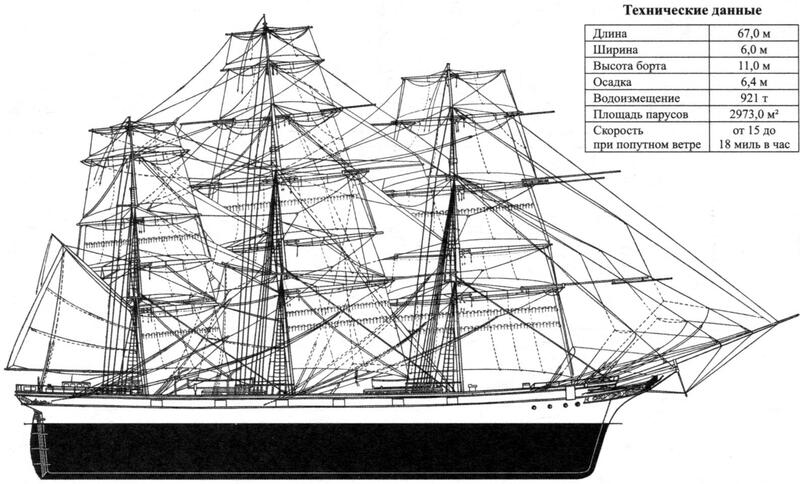 In 1895, the pride of the English Navy “Cutty Sark” was sold to a Portuguese firm and renamed “Ferreira”. 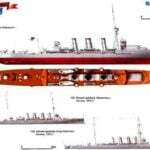 The war of 1914 finds the former “Queen of the oceans” in the sea. The ship, joining the merchant fleet of the allies, carries coal, breaking through the blockade of German submarine fleet. We had a lot of adventures in “Cutty Sark”, and perhaps if not the case, would not come to us this wonderful work of the shipbuilding art. And here’s what happened. In 1922, after a terrible storm in the Atlantic in Falmouth entered barkentina, in which captain Doumen hardly recognize the “Cutty Sark”. 22 September 1922 he bought with his savings for £ 3,750 what was once the “Queen of the oceans”, and decided to restore the ship as a relic. Sailors and ordinary people of England helped Domino – started the fundraising for the recovery of the national and naval pride of England. Everyone wanted to help could, one carrying the rope, the second multiple of blocks; those who were not able to bring anything, helped work. In 1938, after the death of captain Domina widow gave “Cutty Sark” nautical school and the school in turn, in 1952, gave the sailboat to the conservation Committee, “Cutty Sark”. Currently, the “Queen of the oceans” is in dry dock in London. The ship is a Museum ship the bow of ornaments and figures, thousands of Britons and tourists from other countries visit this wonderful ship, the highest achievement of shipbuilding of his time, which still remains a symbol of a nautical feel. The casing can be made from a piece of basswood or other wood. The workpiece is hollow to the height of the bulwark. This surface gauge is applied to the line thickness. Template cut out the upper deck of the 1-2-mm plywood, treated with sandpaper and sharpened hard pencil put lines of the formwork, again treated with fine sandpaper and varnish several times. After that, the deck is set in place close to the bulwarks. The underwater part is sheathed with sheets of copper foil on the little Shoe studs or painted in bronze paint, imitating the copper plating. Spars (mast, bowsprit, steggy and Rei) can be made of grained pine, birch, bamboo, marsovia sites and Chicks – plywood; long zalingi and crispity – pine. Now start manufacturing the boats. The hull lifeboats are carved from whole pieces of wood, Plexiglas, or celluloid or vyklevyvajut fabric. The shape of the case make a wooden disc (without keel and Stepney), surface grease, and then covered with several layers of gauze, soaked in warmed carpenter’s glue, allow to dry, trim the excess material and proshpatlevyvajut, glued the keel and stevn cut from celluloid, pressshpana or thin plywood. Vater-backstage, BOM-jib-boom-suppression, Martin-backstage make circuits. Standing rigging is made of twisted fishing lines with a thickness of 0.8 – 1 mm black. Running rigging – made of thin threads of light brown color with a thickness of 0.1 to 0.3 mm. Add-in models can be made from plywood, celluloid, Plexiglas, foil; the dead eye is from solid wood. They are machined on a lathe, and then sand paper was adjusted to the desired diameter. After this sharp cutter is applied to piles and drilled three holes. Above the upper dead eye guys and stagnant tie vorst – steel wire, not giving the dead eye to twist. Anchors, bale straps, cleats you can stamp out of nylon. Setting the mast and standing rigging, try to evenly pull the shrouds and to ensure that mast is not twisted. The nose is the best shape to cut out of soft wood, but not all of it will be a force. We can recommend a simpler method. Pick up a small doll-golyshko of soft wax, make long hair, a tunic, etc. Mix the plaster, pour into a deep bowl and dip half the figure in plaster. When it hardens, brush the form with fat and pour the second part of the cast. After hardening of plaster the form is cut into two halves and take out the doll. Fill the resulting shape with white plastic AKR-7. After 35 minutes of cooking in boiling water, the figure is removed from the cooled mold and accurately process an emery paper. Surface of the case is painted in black color. RUB rail -white. But it is better to do white celluloid and glue after painting the hull. The inner part of the bulwarks are painted in brown color. Mast noki ray, bowsprit, NOC jib-boom, gaff and boom of bizani color white paint. Steggy, brustenga, yards and jib-boom should slightly soak the stain and cover with a colourless varnish. Boat cover white paint with a black stripe from plansare to fendering. All the ornamental decorations on bow and stern must be bronze color. Shirt bow embellishment -pale blue.